Compares the demographics of women who gave birth in 2008 with those who gave birth in 1990, including age, race/ethnicity, marital status, and education and examines contributing factors. 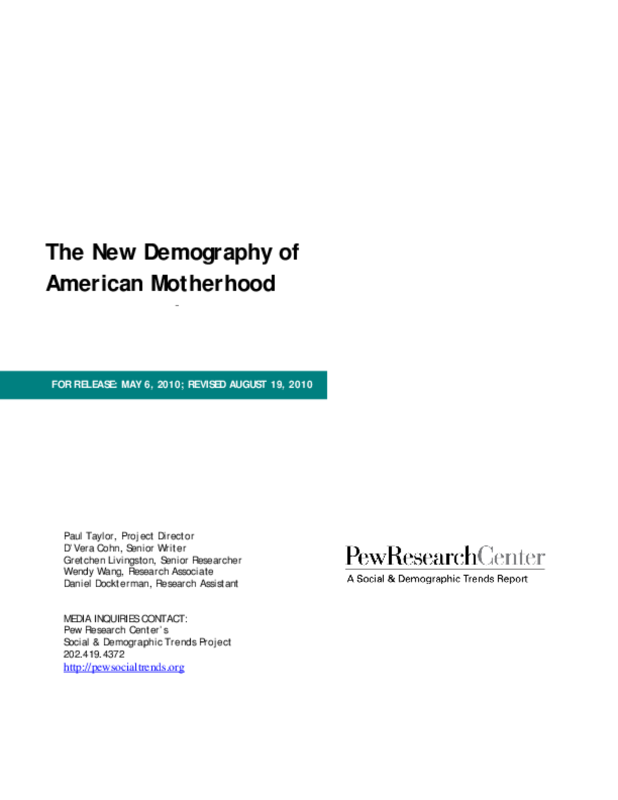 Analyzes survey findings on views on parenthood and recent trends. Copyright 2010 Pew Research Center.